Twisted Burrito Game Studios is running a Kickstarter campaign to bring the Brutal RPG system to board game form. 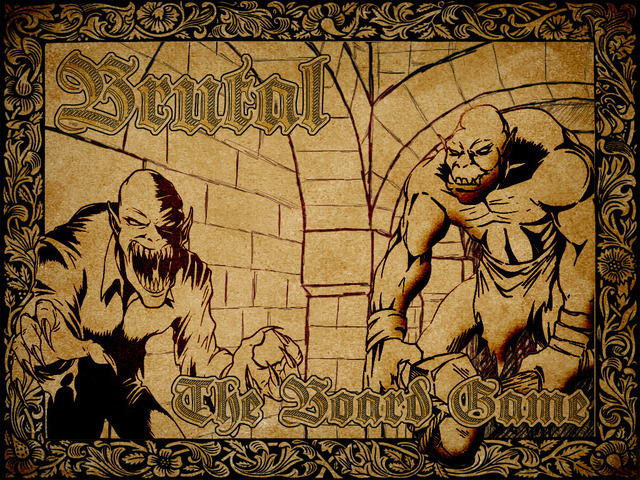 Brutal: The Board Game is based on the Pen and Paper RPG system Brutal RPG. Where Brutal brings you into a world of huge battles with simple rules for rapid action battles, Brutal: The Board Game brings you a world of non-stop action on a smaller scale. Brutal: The Board Game pits your adventurers against hordes of heart stopping, heavy-hitting, hack-and-slash action unlike any other board game. This game is not for sissy players who do not want their adventurers to die. For in Brutal your adventurers will die...often. In Brutal, survival is a pure testament to its name. Learning to flee or stand your ground will mean the difference between a sigh of relief or choking on your own blood in this game's intense and fast-paced combat system.